During the summer, we gave you some great little tips about growing your own fruit and veg – you can read the article here. One of the important points we made was that it is vital to check that your soil is suitable. It’s a broad subject, so we thought today would be an excellent opportunity for us to explore it in more detail. So, if you want to make the most of your fruit and veg opportunities, read on. We’re going to show you how to get your soil in perfect condition. Let’s get cracking right away. Before you get started, make sure that you know exactly what you are dealing with. Look around for soil testing kits, or if you are looking at a large area, try and seek out geotechnical site investigation services in your locale. They will test your soil for you and report back to you. While the testing process is technical, the results will tell you what you need to do. The ideal soil for growing veggies is somewhere between pH 6 and pH7. If you go too far above or below that, you’ll need to make some adjustments. Let’s take a look at that next. If your soil has a pH much higher than 7, then there are a few ways of taking it down a notch. pH is a measure of alkalinity or acidity – lower than a 7 is acidic while higher than a 6 is alkaline. In between is classed as neutral. So, if you get a score of more than 7, your soil has too much alkaline in it, and you have to make it more acidic. The easiest way of doing this is to add something that is called sphagnum peat. Just cover the area you intend to grow your veg on, between one and two inches thick. If you can’t get hold of any sphagnum peat, try adding a vinegar solution – two tablespoons to every gallon. It will have a similar effect. But what if your soil is too acidic and you need to raise your pH? Again, there’s a simple solution. Find some crushed limestone, and mix it in with soil. Do it carefully, though, and keep testing the pH levels until you achieve the right balance. Now you have a neutral soil; it’s time to improve things further. All veggies need a decent amount of organic material to thrive, as it can soften the ground and make it easier for the veg to grow. It also works like a sponge, which helps get more moisture to anything growing underneath. Compost and manure are two straightforward examples of what to look out for. You can also investigate the effects of nitrogen, potassium and phosphorus. You often find this collection of soil-enhancing chemicals in bags of fertilizer, and the amounts of each can be changed to suit your soil type. Some other nutrients are excellent for growing veggies, too. Manganese, zinc, copper and iron traces all can make a difference. As you can see, there are many little things you can do to ensure your soil stays in perfect condition for growing fruit and vegetable. Let us know your thoughts and suggestions! Before you makeover your home, you’re going to need to consider your budget. Make sure you have a definite budget set so you know how much you have to spend and on what. This will help you to haggle on price and find the right materials/tradesmen to help you. Although you shouldn’t always go for the cheapest option, as it won’t always be the best! How Practical is the Look You Want to Achieve? Consider the look you’d like to achieve in your home, and then be honest about how practical it is for your family. Think about how your family uses your home, and whether this new design will impact that. If you’re changing the kitchen and getting rid of preparation space, consider how this will maybe change your lifestyle. Some families like to do everything in the kitchen, from cooking to studying. If you don’t make each room suited to what you do in it, there’s no point making it over at all. There’s a big difference between style and fashion. You shouldn’t follow the latest trends, especially when it comes to making over your home. In just a few months your design will be ‘so last year’! Instead, you want to go for something stylish that will stand the test of time. Of course you need to love it, but you also need to make sure it won’t go out of style. Especially after all of the money you have spent on it. Will You Need the Help of Professionals? 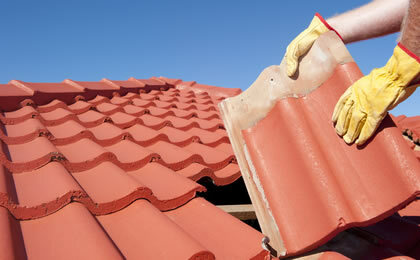 If you’re serious about making over your home, chances are you’ll need the help of professionals. Make sure you know whether you need painters/decorators, architects, or builders. You might even need waste removal professionals to help you after clearing everything out. It’ll cost you more, but the finished result will be worth it. If you’re making major changes to your home, you want to make sure that they’ll help it to increase in value. If not, you should probably think twice. You don’t want to spend a silly amount of money not to make a return on it when it comes to sell. That is, unless you plan on living there forever. You also want to be sure that it won’t decrease the value of your home. Adding something like a pool might seem like a good idea, but in reality it can devalue your home, as many people don’t want the maintenance that comes with it. Consider these things before you makeover your home and you should feel very happy with the results. What are you planning on doing to your home? Let me know in the comments section! If you want to go into business for yourself you might consider moving out of the city and starting a farm. Agriculture is one of the most important industries in the country. It contributes so much to the economy as there are so many areas of agriculture. You will need to decide what sort of area of farming you want to go into. Of course, when you create and set up your own farm you will have sorted out the direction you want to go. All you need to figure out are the extras and finishing touches you want to go with. These are the important elements that are going to make the difference for your farm. Many of them will be for your personal edification, and some will be based around the business in general. Check out these finishing touches that will help make your farm perfect. In all farming, you’re going to need machinery of some description. Whether it’s a plough, a tractor, or a combine harvester, you need to have the right machinery. This is an essential part of being able to run the farm in an effective way. If you don’t have the right vehicles or machines, you’ll struggle to do all the things you need to do. That’s why it’s important to do some research and find out what vehicles and machines you will require to run your farm. Once you know, you can take steps to make sure you get them. You can’t hunt around for the best deals, and make sure you get value for money. No farm would be complete without animals in residence. Again, it depends on the farming you’re going to be doing. But the staple animals for most farms will be sheep, chickens, horses and cows. You need to make sure you have plenty of animals to help your farm thrive and develop. Get a chicken coop so you can breed them and have a supply of eggs. You will need stables for the horses and cows as well. Make sure you have enough land for the animals to live in comfort and stay fit and healthy. It’s also important to have signage up on your farm. You might want to have signs up for directions and warnings on your land. You may also want to think about giving your farm a name. This is something that has become popular over the years. And it will add an air of dignity and personality to your home. Get online and check out the different types of farm signs they have for sale. You can use these to add an extra edge to your farm, and give it a personal touch. Running a farm is not just a career path, but it’s also a way of life. Your farm represents your livelihood so it’s important to do the best you can for your farm. Use these steps to help you add the finishing touches to your farm. 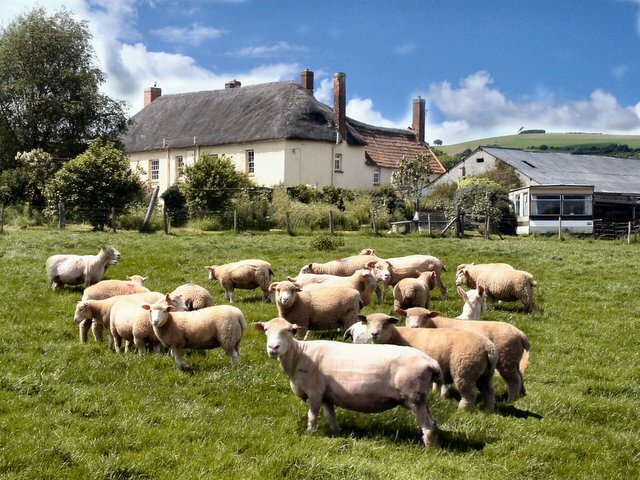 These will help you to make it as perfect as possible and enjoy a thriving, working farm.